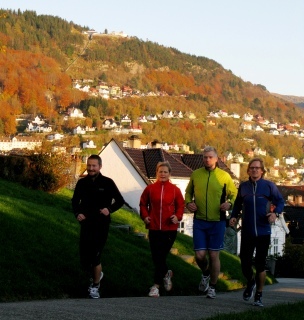 "Bergen Jogging Experience” offers a healthy and unique way to discover the winding alleyways and mountain panoramas of Bergenwith an experienced jogging guide at your side. Let us share with you the hidden secrets and jaw dropping vistas that the locals have discovered for themselves. With the mountains only steps from downtown, runners of all abilities can combine a trip to the famous landmarks with a feeling of escaping it all on one of our exhilarating jogs. Interested? Book a jog with us!